Suphan Buri należy do centralnych prowincji (changwat) Tajlandii. Sąsiaduje z prowincjami Uthai Thani, Chainat, Sing Buri, Ang Thong, Phra Nakhon Si Ayutthaya, Nakhon Pathom i Kanchanaburi. Khao Yai National Park. Day One. "It is BIG. 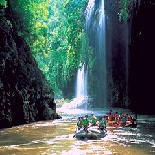 Khao Yai (Big Mountain) National Park, about 120 km from Bangkok, extends into four provinces. From South gate to North gate is about 40 km. The Waterfalls: I drove into the park though the South gate, and to Haew Narok Waterfall, made famous by the movie "The Beach". The walking path to the waterfall from the car park was only 1km but the last leg was steep, it was like a stairmaster session. The waterfall was not as impressive, probably because it was the dry season. 20 km North of that, I checked in at the Visitor Center and drove 14 km East to see Haew Suwat Weterfall. This one was close to the parking, and I liked it better. It was beautiful. No swimming was allowed anywhere in the park. Leave ur swimsuit at home. That was all the daylight I had on day one. I arrived after lunch. Suphan Buri is an ancient town rich in culture and historical temples. It is located on the bank of the Tha Chin River, sometimes called the Suphan Buri River by its people. 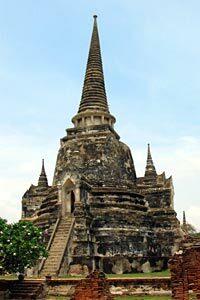 Suphan Buri once was an important border town involved in battles and wars during the Ayutthaya period. Today, it is a very modern town with superb roads. 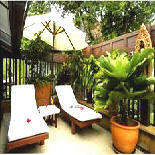 Its attractions such as a large aquarium and old markets are famous among Thai tourists. Crash site of Lauda Air Flight Number 004 on 26 May 1991. 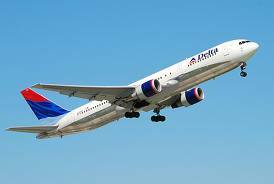 With 223 passengers onboard, it is the worst air disaster over Thai soil. It is located in Phu Toei National Park in Suphanburi province. 'I am depressed' (Cha-long wan-srao) is a sad, but beautiful, song by Poompuang. She was born in Suphanburi Province to a very poor peasant family. Poompuang was the fifth of twelve children in the family. 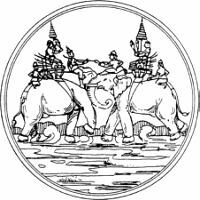 Although she could not read nor write, Poompuang had a profound impact of Thai music, and was an inspiration to many people. Sadly, she died at the age of 31 in 1992 from lupus disease.